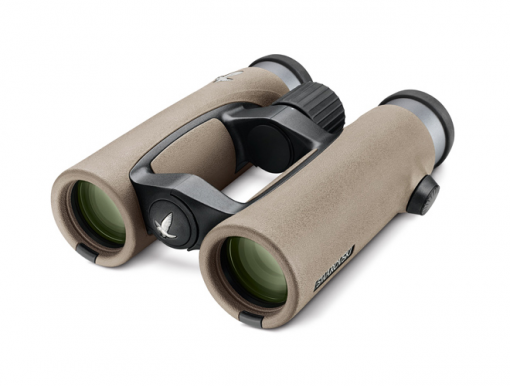 Swarovski EL 10×32 binoculars in Sand Brown now offer the perfectly harmonized FieldPro package providing an unprecedented level of comfort thanks to the new carrying strap, objective lens and eyepiece covers. The result is an almost magical interaction between optics, ergonomics, and functionality, rolled into a masterly crafted design. 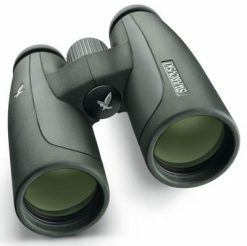 EL binoculars will accompany you throughout your whole life and will impress you from the very start. The Swarovski EL family stand out from all other Swarovski binoculars due to an additional optical element – their precisely engineered field flattener, better known as SWAROVISION. 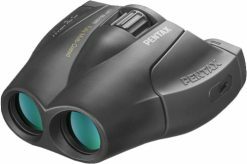 This provides unprecedented peripheral definition and sharpness, and produces large eye relief which offers a full field of view for those wearing eye glasses. 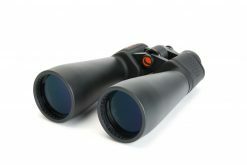 The reduced weight and size of the EL 32 series allows these binoculars to offer a unique combination of performance and usability. Swarovski’s commitment to complete customer satisfaction is reflected in their comprehensive 10 year warranty. 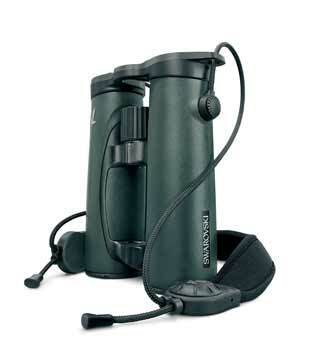 Should your binoculars develop a fault or be damaged, even outside the warranty period, you can be assured of service second to none. This has been the SWAROVSKI OPTIK motto since day one. For Swarovski, this also means exceeding their customers’ expectations and surprising them time and again – with the precision of Swarovski’s products, with their innovative technology and with their comprehensive service. Swarovski’s products are manufactured with ultra precise tolerances of 8 μ, less than a hair’s breadth (approximately 60 μ). 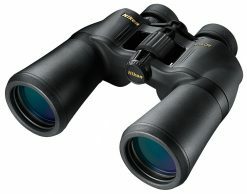 It is only through a combination of maximum precision, state-of-the-art technology and adherence to the high SWAROVSKI OPTIK quality standards that they are able to consistently and permanently assure the optical perfection for which SWAROVSKI OPTIK is renowned, including tazor-sharp, high-contrast images with maximum colour fidelity as a result of exclusively using high-precision lenses and prisms, and complete reliability from -20 °C / +55 °C. 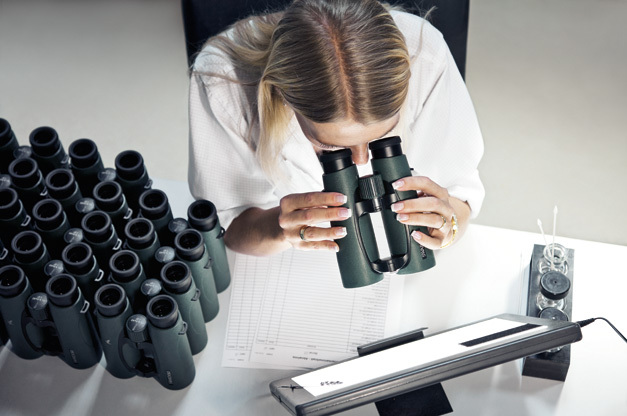 To ensure a consistently high quality level in all their products, Swarovski subject every product and every phase of production to comprehensive, manual quality controls. Every product also undergoes a full image and material control. Swarovski’s quality management system has been certified to ISO 9001/2000 since 1999. Their environmental management system has been certified to ISO 14001 since 2000. 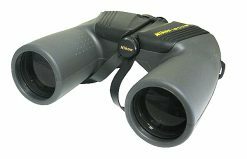 The SWAROVISION technology redefined the concept of optical quality. 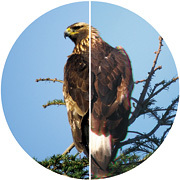 Field Flattener lenses provide unprecedented peripheral definition, fluoride-containing HD lenses minimize colour fringing, while optimized coatings ensure maximum colour fidelity. Large eye relief offering a full field of view for those wearing eye glasses. 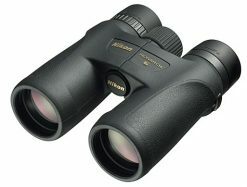 Swarovski’s HD optics feature fluoride-containing lenses, which virtually eliminate colour aberrations. The scatter is considerably less with fluoride than with even the best types of optical glass. 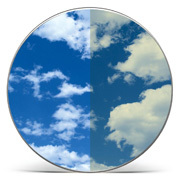 Coatings for bright, high-contrast images: Reduces surface light reflection from 4-6% to 0.2%. 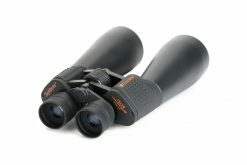 Used on all the lenses and prisms found in SWAROVSKI OPTIK products. 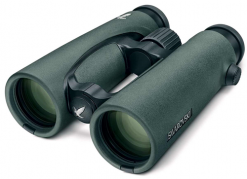 Coating for maximum colour fidelity across the whole light spectrum: SWAROVSKI OPTIK was the first manufacturer in the world to use this technology in series production. 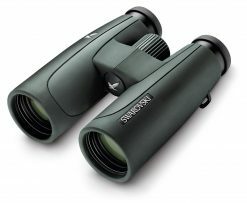 The launch of the EL binoculars by SWAROVSKI OPTIK marked a milestone in long-range optics. 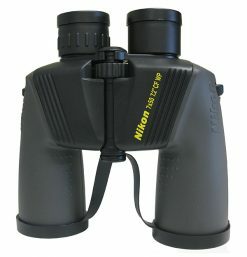 These binoculars have now been further enhanced following intensive development and a great deal of dedication. The result of these efforts is the best EL Family ever. Completely redesigned strap and harness connection. The new rotating strap connector with a cord adapts perfectly to any movement. The bayonet catch enables you to fit and switch the carrying strap and accessories very quickly and flexibly. With a simple turn of its practical quick catch button you can rapidly and silently adjust the carrying strap to the right length. 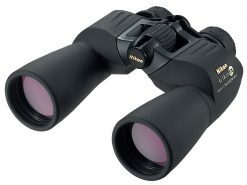 The objective lens covers blend aesthetically into the overall design and also remain securely attached to the binoculars thanks to the innovative connector. 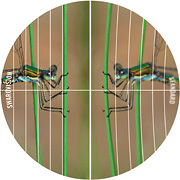 The focusing wheel can also be used more easily, thanks to its softer, fully armored, and more slip-resistant design. 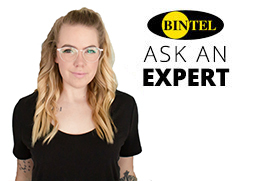 The diopter adjustment’s new lock function ensures that your personal settings cannot be changed. 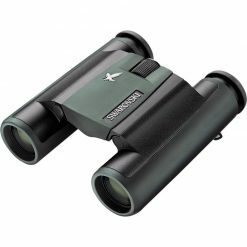 Like every product from SWAROVSKI OPTIK, all EL SWAROVISION binoculars are produced using the lowest possible production tolerances and undergo a 100% quality check. 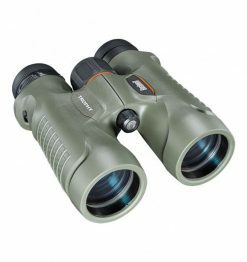 As standard, the binoculars also come with a Field Bag, eyepiece and objective lens protectors, as well as a lift carrying strap. 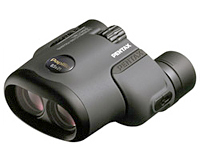 Maximum colour fidelity: through optimized coating of the lenses and prisms.